High Peaks Pure Earth has translated a post from WeChat which was published by the account of Gangri Neichog Research and Conservation Centre on April 27, 2017. 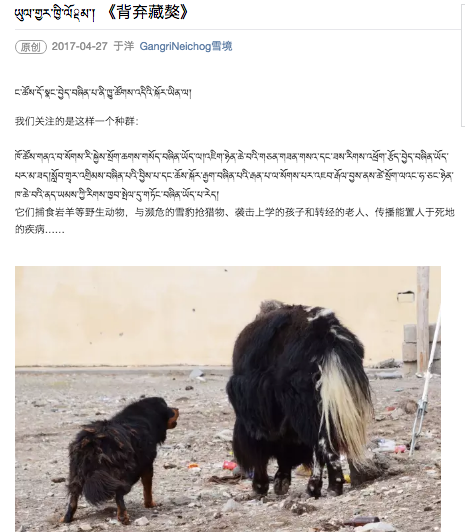 This post introduces a new documentary by Dondrup Dorje of the Gangri Neichog (“sacred snowland”) Research and Conservation Centre that looks at the issue of abandoned Tibetan mastiffs. 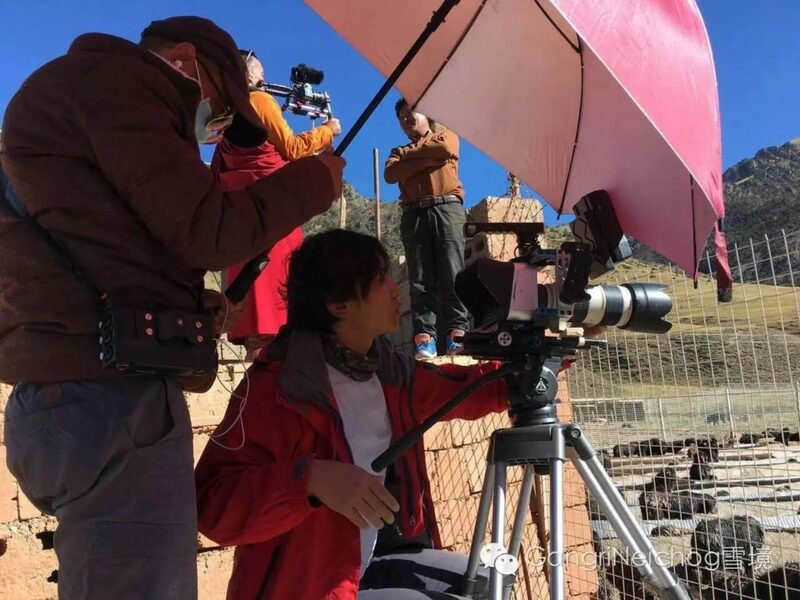 The film was screened and also won an award at the Shanghai International Green Film Week in August 2017. 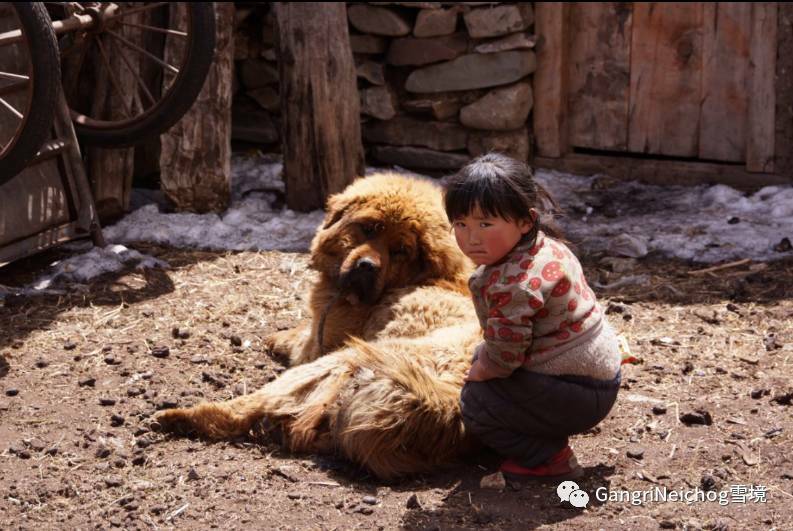 As covered in several media reports, the market for the once much prized Tibetan mastiff crashed heavily after 2013, leading to the abandonment of many thousands of dogs by both breeders and owners. 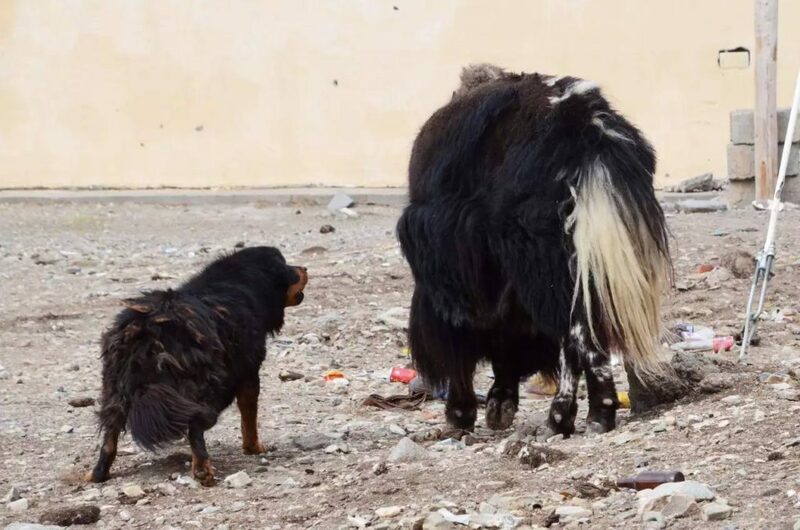 This problem persists even today with the price of Tibetan mastiffs in steady decline and stray dogs, according to state media, presenting health and safety problems. The original post on WeChat contained two videos showing short clips of the documentary film. As it was not possible to translate and subtitle the clips, instead a video subtitled in English and posted by The Third Pole for their profile of the film is included at the end of the post. 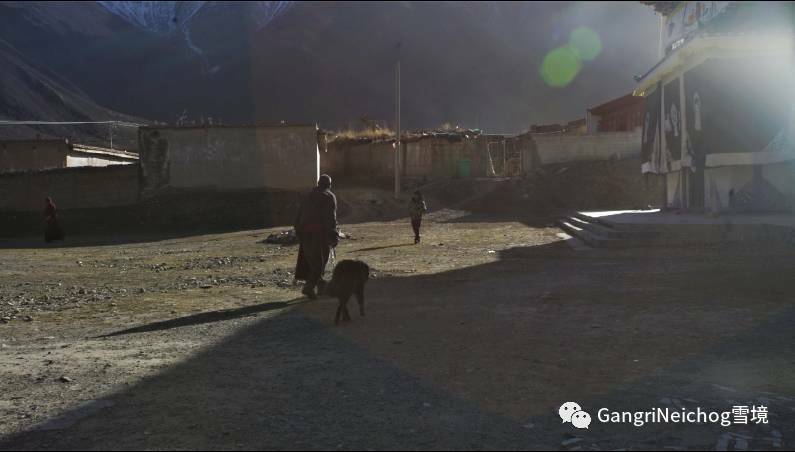 Photo taken by Tsewang Gompo. Photo taken by Yin Hang. How did this transformation come about? But in implementing these measures, what are the challenges that people face? The film crew at work. 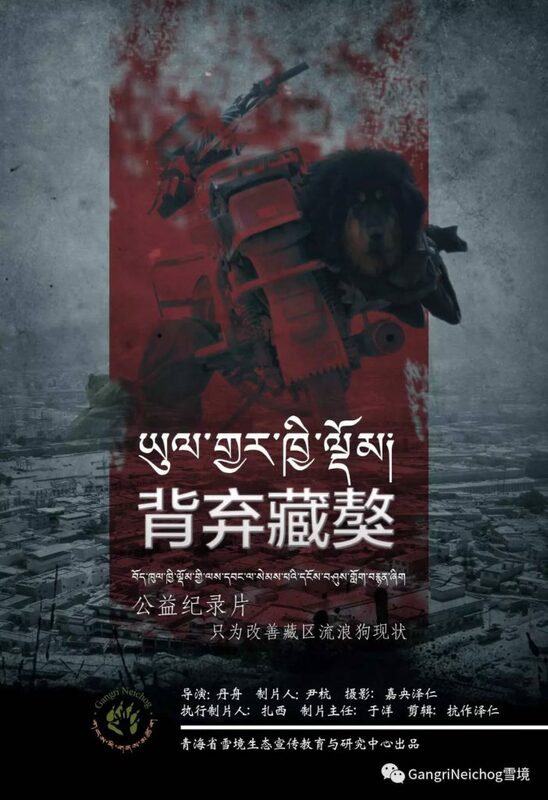 This is not merely a documentary about stray Tibetan mastiffs, it is even more about people in Tibet. 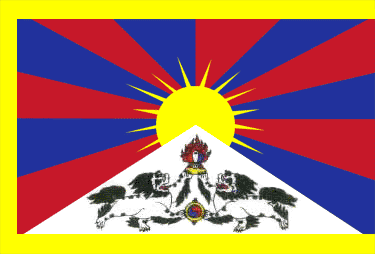 Abandoned Tibetan mastiffs from thethirdpole on Vimeo.